Every Football Sunday needs an appropriate soundtrack, especially those that have all eyes on the ongoing protest movement sparked by Colin Kaepernick last year. As more and more players participate, with dozens of players choosing to kneel during the national anthem today (Sept. 24), the movement is certainly gaining momentum, further echoing the wise words of Sean "Diddy" Combs that the NFL is strongest when united. While attention has been centered on the actions of the players, as well as on the reactions of those from the sidelines, including the president, one fan pointed out that New York Giants safety Landon Collins had been supplying the fitting pre-game tunes today. As reported, a previously unheard Drake track was captured on Collins' SnapChat, giving a preview of both the song and a pair of new Adidas cleats. Considering Drake is friends with a handful of athletes, including Collins' teammate Odell Beckham Jr., there's a chance he was sharing the goods with his team and Collins unassumingly caught the moment on tape. 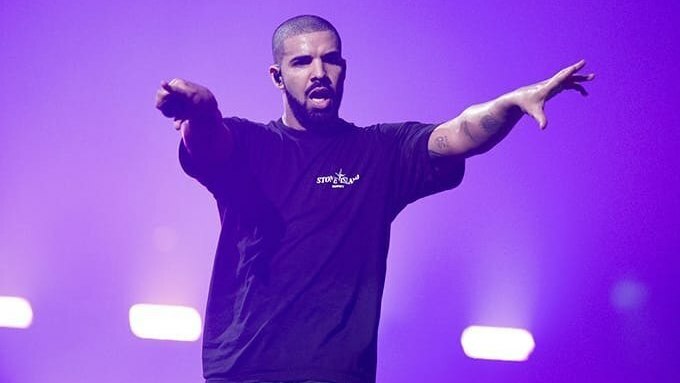 Either way, there's new Drizzy in the works and that is usually a really good sign he'll be dropping new heat soon.